PENSACOLA, Fla. – Two Walton County Sheriff’s Deputies have completed one of the top first-line supervisors training academies in the state. The Florida Criminal Justice Executive Institute announced the graduation Friday, of 40 supervisors from the Florida Leadership Academy, Class 44. These graduates serve in leadership roles representing 24 criminal justice agencies throughout the state. 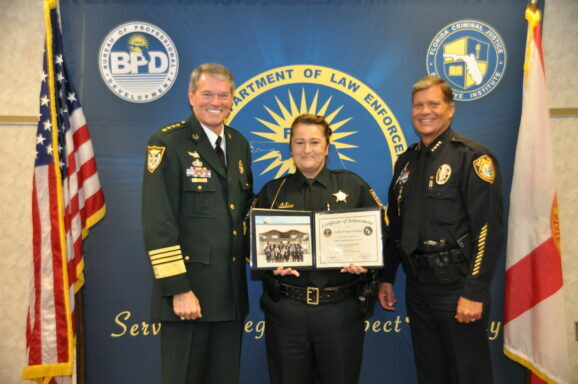 Sergeant Wayne Grandstaff and Sergeant Callie Locklear were among the graduates who met for four week-long sessions at the Escambia County Sheriff’s Office in Pensacola, Florida. They learned the skills necessary to support the needs of their agencies and their communities as they prepare for future challenges. 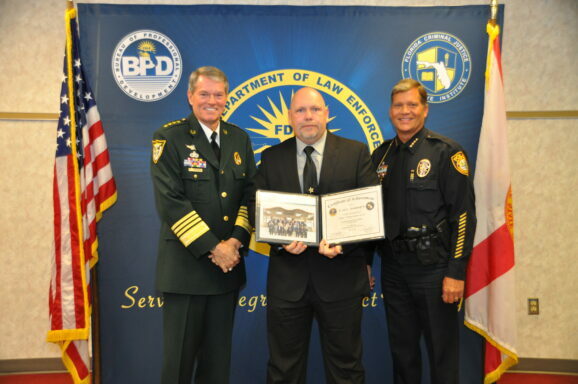 The goal of the Florida Leadership Academy is to prepare first-line supervisors in criminal justice organizations to exemplify the character and integrity expected of criminal justice professionals and to examine the various components necessary to be an effective leader.